Many expected several heroes to die in Avengers: Infinity War, but no one was expecting the events at the end of the film, and while Kevin Feige doesn't shed any specific light on those events, it's clear that there is no coincidence as to who lived and who died. This is your last chance to avoid spoilers, so read on at your own risk. While there were a number of heroes who died early on in the film, such as Loki (Tom Hiddleston), Heimdall (Idris Elba) and Gamora (Zoe Saldana), there were many, many more who disintegrated later. When Thanos (Josh Brolin) finally obtained all of the Infinity Stones, he snapped his fingers and half of the world's population was disintegrated, including several heroes such as Black Panther (Chadwick Boseman), Spider-Man (Tom Holland) and many more. While promoting Ant-Man and the Wasp, Kevin Feige revealed that he knows all too well that the original Avengers managed to survive in Infinity War. "I think for a film series that is going on 10 years and is gearing towards a conclusion with Avengers 4, which you don't usually have in these kind of movies, you can sort of do the math. And realize it's the original Avengers that are left." 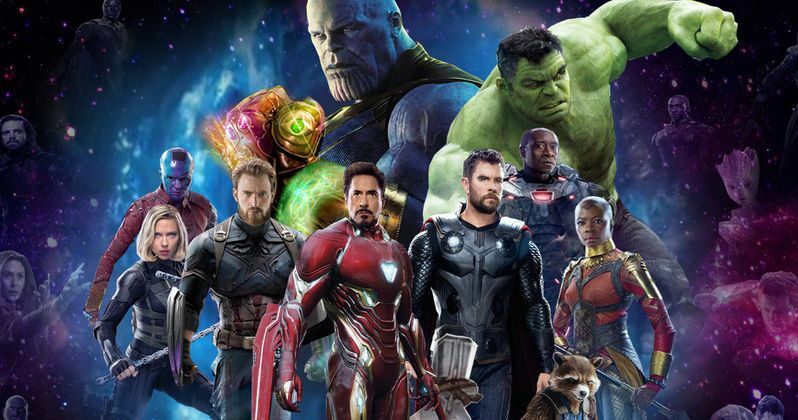 Many believe that, due to the lengthy contracts of most of the original Avengers expiring, that all of the original Avengers who have survived, will either be killed off, or just disappear, never to return in the MCU. While that hasn't been confirmed, there has been a rumor that Avengers 4 ends with the Avengers all going their separate ways with the Infinity Stones. Captain America (Chris Evans) reportedly uses the Time Stone to go back and be with Peggy Carter (Hayley Atwell), while Ant-Man (Paul Rudd) gives the Reality Stone to Scarlet Witch (Elizabeth Olsen), who uses it as a new power source to bring Vision (Paul Bettany) back to life. That rumored ending also included The Hulk (Mark Ruffalo) using the Mind Stone to separate himself from The Hulk, while Tony Stark (Robert Downey Jr.) reportedly crushes up the Power Stone and "snorts" the remains. The Space Stone is not mentioned in that report, nor are original Avengers such as Black Widow (Scarlett Johansson) and Hawkeye (Jeremy Renner), with rumors spreading that Hawkeye may have been killed and that Black Widow, who is still rumored to have a stand alone movie, going on an outer space adventure with The White Wolf (Sebastian Stan) using the Space Stone. Kevin Feige also revealed recently that the studio won't be revealing the official title for Avengers 4 until the end of this year, debunking a previous rumor that we'd learn the title at the end of Ant-Man and the Wasp. Kevin Feige revealed these new details in an interview with io9.